Ferrari Stitch Detail Pique Top - Red. Crew neck top in 100% 230gsm cotton pique knit, with feature flatlock stitch seam detailing. 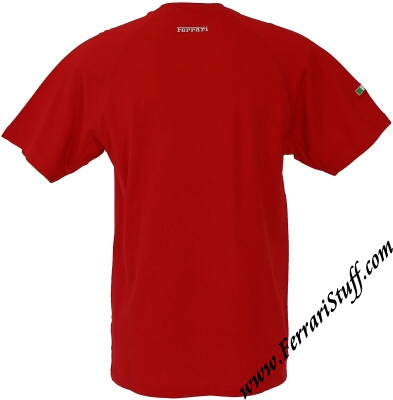 Ferrari racing shield embroidery to left chest, Italian flag to right sleeve, Ferrari to back half moon yoke. 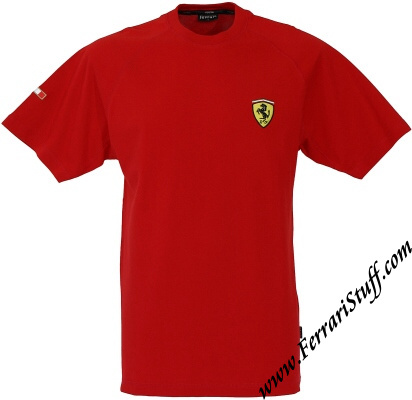 Ferrari branded ribbon in back neck and Ferrari branded side seam label. THE LAST ONES AVAILABLE! From $ 34.99, now US$ 15.00 !